An Organic Moisturizing Soap That Naturally Deodorizes Nourishes And Exfoliates! Here at Nature’s Skin and Body Food, our organic moisturizing soap is ranked by estheticians as the highest quality soap in the world. It's more healing on the skin than even the highest quality Black soap. This Natural Organic Moisturizing Soap is an organic alternative to the often irritating, chemical, and detergent based personal care products currently in general use. We manufacture this luxury Organic Moisturizing soap for all skin types. The blend of organic ingredients we use creates a miracle soap your skin will love. Can soap be used for more than just removing surface dirt from your skin? Yes, we took virtually every ingredient present in one of our most popular products Nature’s Transdermal Face Food™ and blended it with organic soap ingredients to create an organic moisturizing soap that does a lot more than just clean the surface dirt off of your skin. These ingredients plus some organic coconut and castor oils are in our luxury-spa-clay-soap. Take a look, click on the "ingredients" link above. Our cleansing bar cleanses and exfoliates the skin while at the same time imparting a broad spectrum of nutrients into the skin, leaving you with clean, nourished, deodorized, and moisturized skin. The rare mineral clay used in this soap will naturally deodorize your skin giving you the option to stop using deodorants. You'll have the option to pass over the need to use any other agent to mask (deodorize) the natural smell of your skin. The clay we use in our luxury soap gently exfoliates. 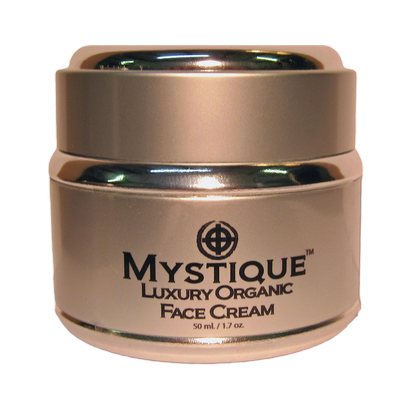 As it removes the dead skin across your body your skin will look and feel healthier and more pure. This is why some alternative healers recommend "skin brushing." Because when you can safely and effectively remove dead skin and unclog pores across the body you will be able to see and feel for yourself the native improvements this process brings to your largest organ --> YOUR SKIN! Safely exfoliating while safely feeding your skin, day by day, cannot but lead to visible improvements in skin tone and health while contributing to overall, systemic well-being. Our proprietary soap making process produces just the right amount of saponified oils and natural glycerin within a clay/mineral mix leading to an end result that cleans and moisturizes so well that our customers use it for shaving and washing hair with no need for secondary conditioning agents. 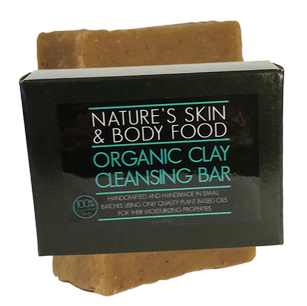 We highly recommend the use of our Clay Cleansing Bar before application of any of our other products, particularly the clay mask, body lotion, face moisturizer, facelift cream, peel, sunless tanner, skin lightener... I think you get the picture. You will not be disappointed by the improved results you experience from our other products when you've first prepped the skin with our cleansing bar. Standing on its own, our cleansing bar is very effective for problem skin issues such as rosacea, eczema, acne, and rashes. 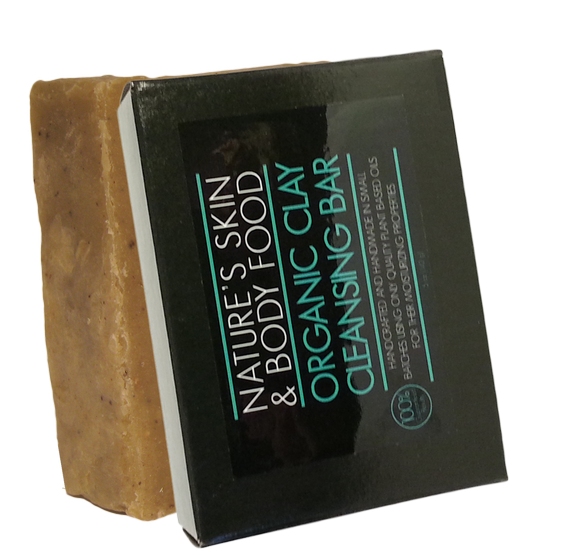 If you want a cleansing bar that goes way beyond any other "soap" product on the market, then order Nature's Skin and Body Food's cleansing bar. We think you will appreciate the delicate balance in how a lone bar performs so exceptionally well at deeply-cleaning and deeply-nourishing all areas of the skin to which it's routinely applied.